Professor Darren Dawson received a B.S. Degree in Electrical Engineering from the Georgia Institute of Technology in 1984. He then worked for Westinghouse as a control engineer from 1985 to 1987. In 1987, he returned to the Georgia Institute of Technology where he received the Ph.D. Degree in Electrical Engineering in March 1990. In July 1990, he joined the Electrical and Computer Engineering Department at Clemson University where he held the endowed position of McQueen Quattlebaum Professor between 2001 and 2014. From 2005 to 2007, he also served as the ECE Department Graduate Coordinator. Since June 2004, he has served on the Methode Board of Directors in which he currently serves on the Technical Committee and the Compensation Committee. 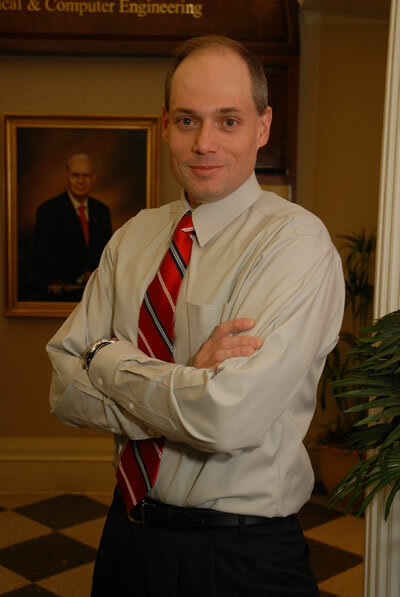 Between 2007 and 2014, he held the position of ECE Department Chair at Clemson University. In 2014, Professor Dawson retired from Clemson after 24 years of service with the status of Professor Emeritus and with full retirement benefits (i.e., through the purchase of four years of service credit). In July of 2014, he assumed new duties as the Dean of Engineering and the Leroy C. and Aileen H. Paslay Endowed Chair of Electrical and Computer Engineering at Kansas State University. Professor Dawson’s research targeted the design and the experimental validation of advanced model-based controllers for mechatronic systems (e.g., electric motors, robot manipulators, overhead cranes, active magnetic bearings, flexible cables/beams, vision-based systems, automotive systems, unmanned vehicles, etc.). In these areas, Professor Dawson’s research group attacked and solved several of the open problems associated with important and/or benchmark nonlinear control applications. Specifically, his work in generalized mechanical systems is often cited by other researchers as the first solution to the global adaptive output feedback tracking control problem for a general class of Lagrange Euler systems. He was also the first scholar to design, analyze, and implement rigorously developed nonlinear algorithms for the important application area of sensorless control of induction motors. His research stands out from the typical control researcher in that the performance gains associated with his control theoretic work has been verified experimentally by his research group. Dr. Dawson authored and/or co-authored one graduate textbook, seven research monographs, four book chapters, over 190 journal papers, and over 325 conference papers, which, as of 2013, have resulted in a total of over 6500 citations and an H-index of 40 according to Google Scholar. His research group presented over 300 talks at national/international conferences, universities and workshops. Professor Dawson directed 34 completed Ph.D. dissertations and 53 completed master's theses. Dr. Dawson served the control and robotics community in the following capacities: Past Associate Editor, IEEE Transactions on Control System Technology, Past Associate Editor Automatica, and numerous conference program committees. Dr. Dawson's work has been recognized by several awards including the NCR Undergraduate Teaching Award in 1992, the Office of Naval Research Young Investigator Award in 1994, the National Science Foundation Young Investigator Award in 1994, the Georgia Institute of Technology Council of Outstanding Young Engineering Alumni Award in 1995, the Centennial Professorship in 2000, the Murray Stokely Award for Excellence in Teaching Award in 2003, and the COES Collaborative Research Award in 2007.